It was truly a labor of love to open a medical marijuana dispensary when the Oregon laws were in their formative years. Urban Farmacy’s grand opening as a medical marijuana dispensary was on Valentine’s day 2014. During those first two years, we welcomed medical marijuana patients only, as law permitted. One of the owners of Urban Farmacy has a strong natural health background and a passion for cannabis medicine. As such, Portland dispensary Urban Farmacy quickly established ourselves as a home for cannabis knowledge, education and quality, medical grade cannabis and cannabis products. In October 2016, we proudly opened our doors as a recreational marijuana dispensary. This was an exciting time for Oregonians and Cannabis professionals alike. Since the roll-out of recreational cannabis laws, new cannabis products and growers flooded the market. This has created an opportunity for Urban Farmacy to curate the best quality, and most useful cannabis menu for our clients. Portland dispensary Urban Farmacy’s dedication to cannabis knowledge and education remains central to our purpose. We have cultivated our space in a way that allows all customers or group of customers to meet one-on-one with a budtender, without feeling rushed. Additionally, we have cultivated a unique opportunity for personalized consultations. 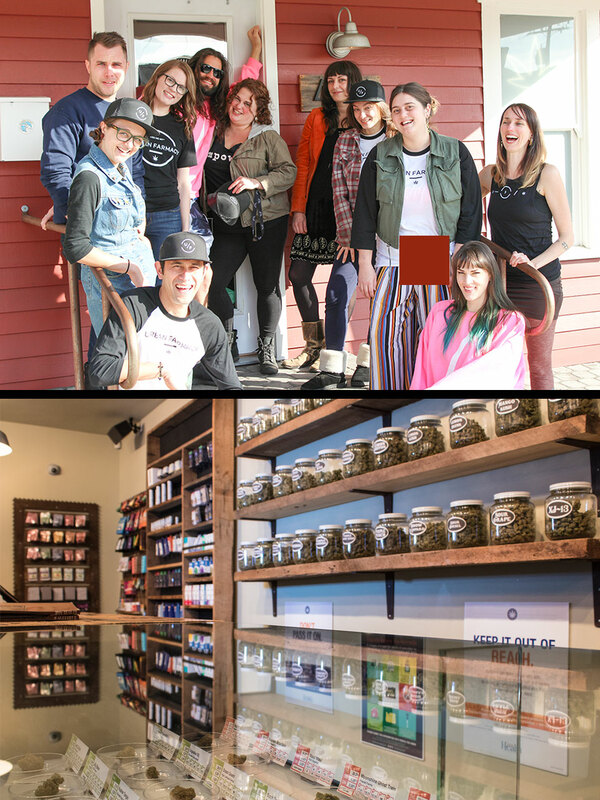 These are the friendly faces you will see when you stop by Portland Dispensary Urban Farmacy. Our team is committed to crafting a top quality dispensary experience for all our customers. We are comprised of industry professionals who have spent years helping both medical and recreational cannabis users find the right products. Each person on our staff has their own special experience with cannabis which has led them to Portland Dispensary Urban Farmacy. We love cannabis and we love educating you about cannabis! We look forward to meeting you.